With next week being Canada’s National Forest Week, messages of celebration are out from Tree Canada; the BC Minister of Forests; and collectively from the National Forest Week BC Coalition, ABCFP and the Canadian Institute of Forestry. In other news: Trump’s threat of using national security to impose tariffs dominates NAFTA talks; lumber tariffs are a boost to some US producers; and tariffs and a labour shortage continue to force Colorado home prices up. In Climate and Bioenergy news: fighting climate change may require a global government; Pakistan and Iceland plan to address climate change by regrowing their forests; an ENGO group says timber harvesting is Oregon’s coal; burning wood rather than natural gas is said to make the EU less green; and Canada’s Wood Pellet Association talks market expansion in Vancouver. Finally, a story on why UK housing is stuck in the dark ages, and Prince Andrew tours Norbord’s mill in Scotland. WASHINGTON — Despite the eye-popping figures thrown around in the NAFTA conversation … one number in particular seems to be giving fits to Canada’s negotiating team: 232. That’s the section of U.S. trade law that lets President Donald Trump use national security as justification to impose crippling tariffs on foreign imports… Sources say Thursday’s talks between Foreign Affairs Minister Chrystia Freeland and U.S. trade ambassador Robert Lighthizer were dominated by efforts to secure a commitment from the Americans that a new NAFTA deal would mitigate the risk of such tariffs. …“I think the Section 232 issue is very big. Chapter 19 dispute resolution is less important,” said trade lawyer Darrel Pearson… That’s because, as Canada’s experience with softwood lumber would suggest, a means of resolving disputes doesn’t make disputes go away — and Trump’s demonstrated proclivity for shooting first and asking questions later would seem to amplify that issue even more. Back in 2012, one of the major employers in Montrose, Colorado, a sawmill, was in receivership and on the brink of collapse. At the time, local media reported that the cost of logging timber had become prohibitively expensive, and the log yard was nearly empty. 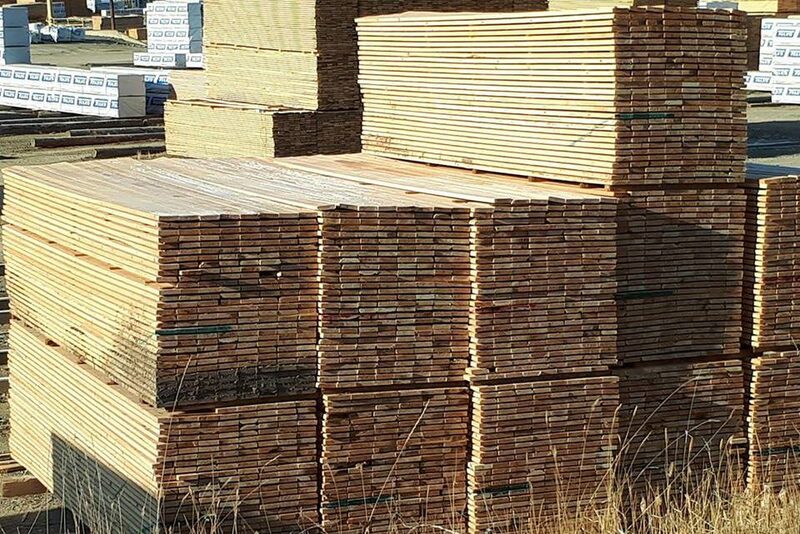 …This year, it’s on track to turn out over 90 million board feet of lumber, a new record. …Rural communities with softwood sawmills are booming. The Montrose Economic Development Corp. estimates the sawmill generates 250 direct jobs and adds $32 million to the local economy. …“There’s a number of factors, the market’s one,” he said. “The Canadian tariff is a big part of it.” …The tariffs are great for the U.S. lumber industry, but Amanda Countryman, an agricultural economist at Colorado State University said it’s had negative consequences for other sectors of the economy. SARASOTA, Florida — Two reports issued this week focusing on the construction industry indicate the cost of homebuilding is rising because of U.S. tariffs and the ongoing labor shortage. After the Trump administration imposed more tariffs — $200 billion worth — on Chinese goods this week, homebuilders responded by saying this latest round of tariffs could greatly affect the costs of housing construction. On top of that cost increase, builders say they are being forced to raise home prices and are having a tougher time meeting project deadlines because of the labor shortage, according to the latest National Association of Home Builders/Wells Fargo Housing Market Index. …Jon Mast, chief executive of the Manatee-Sarasota Building Industry Association, doesn’t foresee those situations changing. 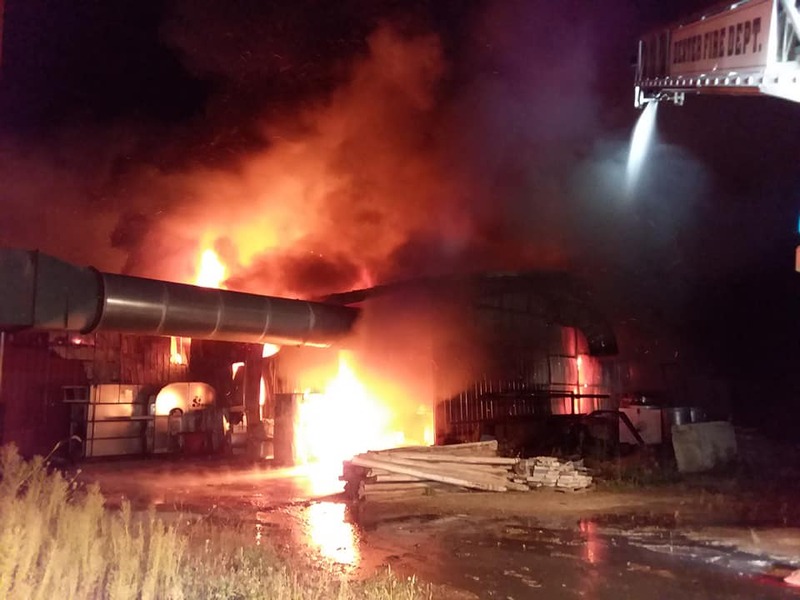 A fire at a wood-pellet plant that lit up the skies over Corinth on Wednesday night and kept crews from more than 20 fire departments on the scene overnight started when a pellet cooling machine overheated and ignited. Jeff Bragdon, Corinth’s assistant fire chief, said flames from the cooling machine scorched the metal roof and attic of the main processing area, creating intense heat on the floor of the building. …According to Bragdon, firefighters received a call around 6 p.m. Wednesday reporting that the Corinth Wood Pellets manufacturing facility at 74 Hob Road was on fire. Hob Road runs from the plant to Route 15, which was shut down. The fire caused extensive damage to the main wood pellet processing area, causing sections of the walls and ceiling to collapse. Firefighters, however, prevented the fire from spreading to the company’s main office and warehouse. JACKSONVILLE, Florida — Rayonier Advanced Materials announced today that it has sold its resins business to LRBG Chemicals, a company to be led by the current resins business management team, for a purchase price of approximately $16.5 million. The business, with manufacturing locations in Longueuil, Quebec and Toledo, Ohio, produces chemical resins used in the manufacturing of oriented strand board, hardboard and other engineered wood products. The business was originally acquired as part of the Company’s acquisition of Tembec in November of 2017. “The sale of resins business allows us to divest a non-core petroleum-based chemical asset,” …said Paul G. Boynton, Chairman, President and Chief Executive Officer of Rayonier Advanced Materials. LONDON, UK — Imagine if there were an off-the-shelf solution to London’s housing shortage. Well, imagination could become reality: the nine-metre-high structure built from cross-laminated timber on show during the London Design Festival this week highlights that the technology is there. But this impressive prototype design is far from the UK’s traditional approach to building homes. While other countries are adopting more modern trends, the UK is still heavily reliant on labour-intensive methods and bricklaying – the same techniques we’ve been using for centuries. …A few high-profile schemes have captured the industry’s attention in the capital – Pocket Living’s Mapleton Crescent modular tower in Wandsworth. …But in practice, the take-up across London remains very low. Why? 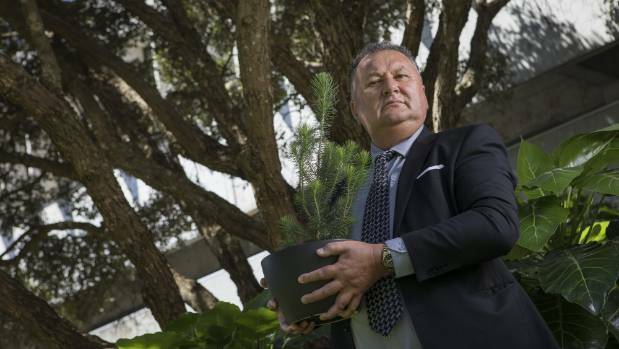 NEW ZEALAND — Chinese officials have been candid in public meetings about the risk of a protracted trade war, Forestry Minister Shane Jones said. Jones led a delegation of forestry industry figures to the eighth Global Wood Trade Conference in Chongqing. …”They have clearly identified that as far as they’re concerned, they’re in a protracted trade war,” Jones said from China. …Jones said that officials in China were pleased to gain clarity on changes to the treatment of overseas investments in forestry rights by bringing them within the ambit of the Overseas Investment Act. …Peter Clark, chief executive of forestry services company PF Olsen presented on the global trends which meant China should consider investing in processing capability in New Zealand. His Royal Highness Prince Andrew took a tour of Norbord’s mill at Morayhill, on the outskirts of Inverness, to discuss the company’s production of oriented strand board (OSB) – better known as sterling board – and its future within the European market. The royal visit comes exactly one year after a £95 million expansion of the mill which safeguarded the future for 130 workers and supported hundreds off additional employment opportunities in forestry in the north. 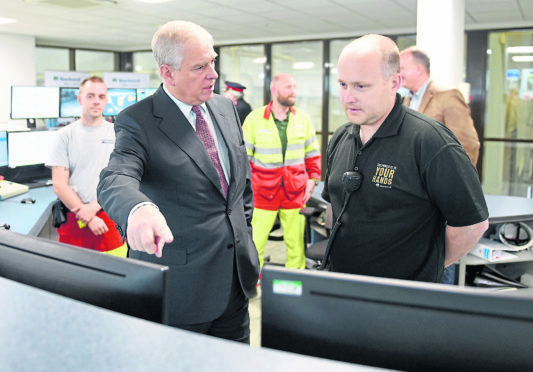 …To mark the momentous occasion, Prince Andrew unveiled a plaque made of OSB, commending the company for their modern approach to production. This year’s National Tree Day falls on Wednesday, September 26th and it will be a particularly important one for me and for Canada. This year will be the first National Tree Day without Royal Galipeau, the Member of Parliament who founded the day. …Royal, my friend and fellow “tree-hugger”, passed away on January 27 of this year at the age of 71. His love of trees came from his youth in eastern Ontario, where, by his reckoning, he planted 52,000 trees on various properties and an additional 23,000 with his family. …Like Royal, most of us are aware of the benefits of trees. …Less well-known though is the fact that trees make us healthier, both physically and mentally. …Since that day back in 2011, Tree Canada has become the stewards of National Tree Day. At-risk species could soon be without a home because of plans to cut down parts of a forest near the entrance to Coal Harbour and Quatsino reserve. Heidi Falconer, a local Coal Harbour resident, voiced concern over Western Forest Products’ intention to cut the area close by. The company stated in a letter last June to Falconer that the cutting is in response to safety concerns due to possible hazards along the road into Coal Harbour. …The operation is hoping to reduce tree windfall hazards along the highway, adjacent to power lines, and behind some Coal Harbour residences. Falconer owns a residence that is immediately affected. …Falconer also questioned whether industry companies have done their due diligence in conducting an ecological study. …Western Forest Products currently owns the land. Now that the enormous wildfires of the area are yielding to the autumn weather, including a freak snowstorm last week, residents are taking stock of their scorched earth. Fires like Shovel Lake, Nadina Lake, Verdun Mountain, and many others drastically altered the landscape in the Lakes District-Omineca regions especially. Those ecosystems are in disarray and for the ungulate populations of moose, deer, elk and so on, the fire topsy is now followed by hunting season turvy. Dawn Makarowski, a spokesperson for the Ministry of Forests, Lands, Natural Resource Operations & Rural Development, said the provincial government was in the process of assessing the criss-cross of hunting estimates made earlier in the year versus the new environmental reality where fires swept wildlife out of their usual habitats. First Nations in B.C.’s Interior are making a political statement by deactivating some forestry roads in an effort to stop the fall’s moose hunt in the Chilcotin. “This is about moose,” said Chief Joe Alphonse, tribal chairman of the Tsilhqot’in National Government. …Currently there are no LEHs slated to start in the area until Oct. 15 due to new government restrictions, however, First Nations hunters can hunt all season long legally. “We just want the moose hunters to back off — that’s even for our own hunters,” Alphonse said. …Alphonse said if the response is heavy against them they will go a step further and not only build ditches across the roads, they will pull plows down the logging roads so they can never be used again. VICTORIA – Local government officials from across BC met in Whistler earlier this month for the annual Union of BC Municipalities (UBCM) Convention. With 2017 and 2018 as the two worst wildfire seasons on record, wildfire and community protection were key topics of discussion at the convention. 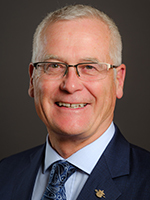 The UBCM delegates endorsed a resolution calling on the BC government to expand the community forest program by increasing both the number and size of community forests to help achieve wildfire protection, promote rural development, and strengthen relationships between Indigenous and non- Indigenous communities. This follows a recommendation from the Abbott/Chapman BC Flood and Wildfire Review calling for an expansion in the number of community forest tenures in areas adjacent to communities as an effective tool for wildfire mitigation. 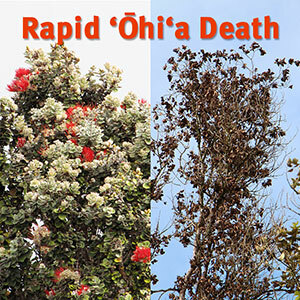 …In recent years, however, “rapid ohia death,” as the disease is called, has spread across more than 135,000 acres on the Big Island and jumped to the nearby island of Kauai. Scientists and public officials are now in a desperate effort to stop the disease and save the canopy, along with the multitude of flora and fauna that depend on it. …The culprit is formidable: two previously unknown species of fungi, which apparently arrived on the island via spores from a mysterious source. …The fungi kill the trees from the inside by clogging their water pathways, turning the leaves brown and releasing new spores. By the time the trees appear to be sick, it’s too late. …An ecologist with the Carnegie Institution for Science built a device that can detect infected trees before symptoms appear. From an airplane… a laser spectrograph measures the light reflected off the leaves detecting those altered by the fungi. WHITE MOUNTAINS — The White Mountain Stewardship Project is a good example of the first 10-year stewardship contract issued by the Forest Service, which was developed in the wake of the Rodeo-Chediski Fire in 2002. Though it was successful, there were issues; mainly the problems for wood products industries having enough supply to invest into infrastructure to process the wood over a relatively short time frame. 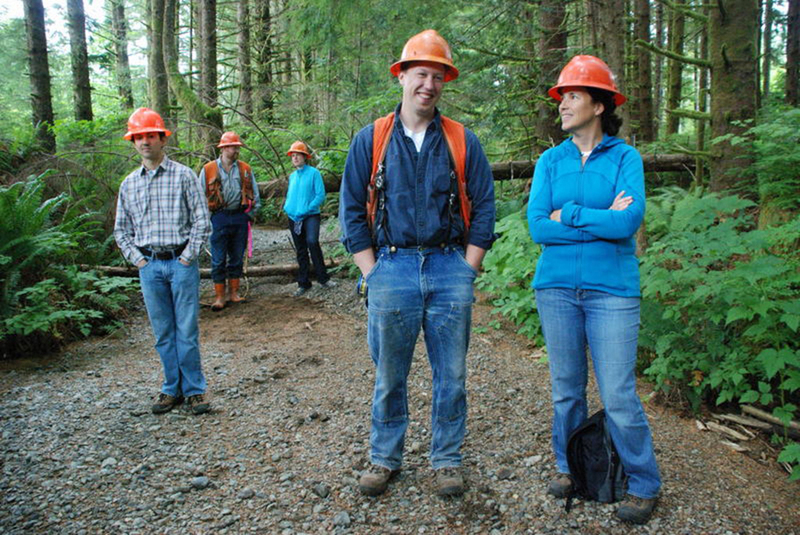 The Forest Service recently granted authority for 20-year stewardship contracts and agreements. But, there are still concerns as expressed in a letter from the Federal Timber Purchasers Committee sent to the Forest Service. The Federal Timer Purchasers Committee is part of the Federal Forest Resource Coalition, a national non-profit trade association representing a diverse coalition of federal timber purchasers, conservation groups, and county governments. In a twist on the old adage: “It’s seeing the forest for the trees,” Ecotrust Forest Management (EFM), a privately-held forestland investment and management company, is making a positive environmental, social and financial impact through its sustainable, climate-smart strategies. The forests that it manages produce a full range of goods and services—logs for mills, clean water for communities, carbon sequestration and biodiversity—for the benefit of all stakeholders, through its brand of climate-smart forestry which forms the basis of its investment and stewardship philosophy. 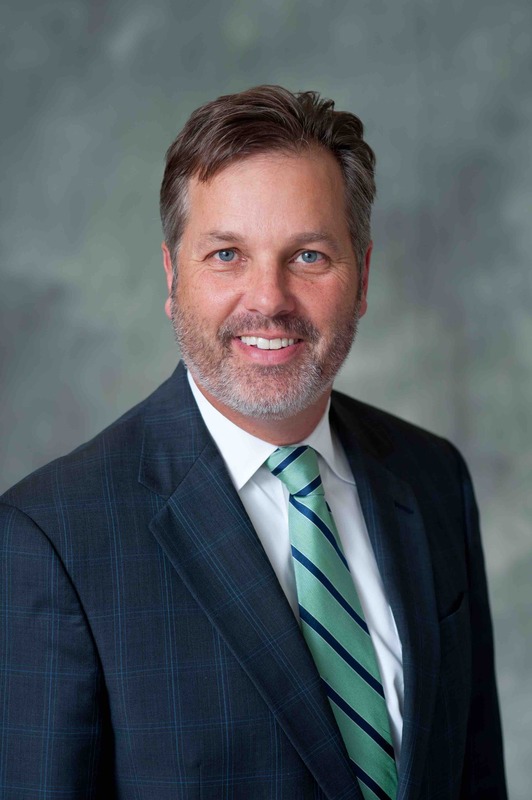 EFM’s investment management services are offered to accredited investors through three investment funds, Ecotrust Forests, LLC and Ecotrust Forests II and III. ImpactAssets donors can also make impact investments in Ecotrust Forests III through The Giving Fund. In addition, EFM’s advisory practice helps landowners improve forest management practices and access emerging ecosystem markets. WENDELL — A group that’s protesting state plans to start logging at Wendell State Forest is preparing a petition calling for a halt in those plans as well as a weekly Saturday protest along Route 2 on Saturday. The “Save Brook Road Forest” group is also planning “A Gathering to Offer Love, Honor, Respect for the Trees of Brook Road Forest” on Sunday. According to organizers, who have called for weekly Saturday protests through Nov. 10 in front of Freight House Antiques in Erving, Massachusetts Department of Conservation and Recreation plans to log in the Wendell State Forest in November. Part of the proposal is to harvest an 88-acre, 110-year-old oak forest that is a part of the 7,000-acre publicly owned forest. The protestors feel that this logging project cannot be justified for ecological or forest health purposes, and has minimal if any financial benefits for the public. A LEADING agriculture college has joined forces with the UK’s largest forestry and timber harvesting company to meet a growing demand for woodland workers. Coleg Cambria Llysfasi and Tilhill Forestry unveiled their new partnership – the first of its type – at the APF 2018 show held at Ragley Estate in Warwickshire today (Thursday). The aim of the Tilhill Diploma in Forestry and Woodland Management is to bring the forest industry an increase to its next generation of managers and operators by way of offering a unique blend of education, industrial experience and bespoke training underpinned by the National Apprenticeship Scheme. Llysfasi head Iain Clarke said there is a skills gap in the forestry industry and a crucial need to develop a highly-skilled workforce to take the industry forward. PNG Biomass is using new specialized forestry equipment from Uruguay and the most appropriate forestry management techniques from South America, South Africa and Asia in its 16,000 hectares of tree farms in Markham Valley, Morobe Province. Fuel supply and mechanical services manager Garry Townley said PNG Biomass imported the equipment from Uruguay to improve site preparation and increase productivity of the plantation establishment. The machines arrived last week in a 40-foot container filled to the brim with purpose-built forestry equipment and tree planting machines. “It includes four SRDM 18 multi-functional subsoiler ploughs from Hartwich Company in Uruguay. “The machines will prepare planting beds for seedling planting and its ploughs have heavier disks compared to the agricultural ploughs currently used on site,” he explained. 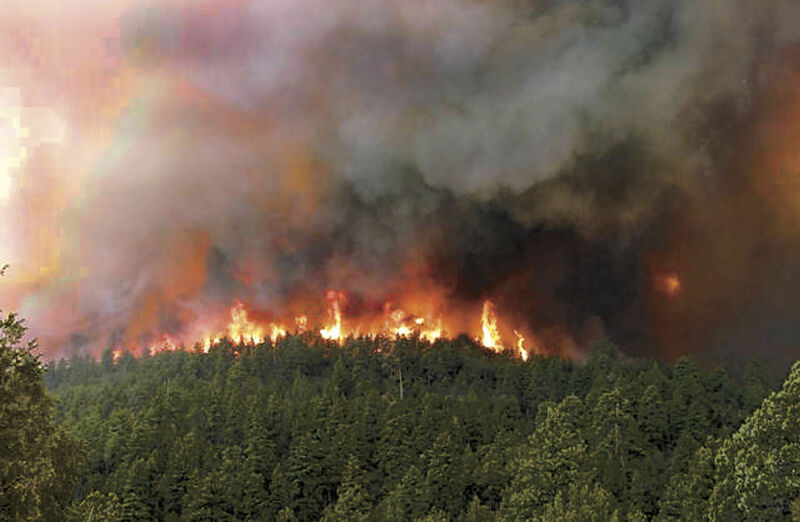 The latest Commission report on forest fires shows the need to tackle climate change “to leave a healthier planet for those that follow”, as President Jean-Claude Juncker highlighted in his latest State of the Union Address and calls for stronger measures to prevent wildfires. Today, the European Commission published its annual report on Forest Fires in Europe, the Middle East and North Africa for 2017 [LINK]. It shows that last year, wildfires destroyed over 1.2 million hectares of forests and land in Europe – more than the total surface area of Cyprus. They also claimed the lives of 127 civilians and fire fighters and caused economic damage estimated at almost EUR 10 billion. It’s been a year filled with development and market growth, as speakers emphasized at the 2018 Wood Pellet Association of Canada (WPAC) conference, but Canada has only scratched the surface of reaching Asian markets with Canadian wood pellets. WPAC president Rene Landry delivered the welcoming address at the Marriott Pinnacle Hotel in Vancouver on Tuesday. The first panel on global and Asian markets reflected this year’s theme of powering Asia with Canadian wood pellets. …To emphasize the message of safety in the workplace, keynote speaker Brad Livingston dominated the room on Day Two with his empowering personal story of perseverance after a horrific workplace incident almost cost him his life nearly three decades ago. The west coast of North America had its most devastating forest-fire season in recorded history this summer, with intense heat and drifting smoke stoking distress. Wildfires also roared through Sweden and Greece, killing scores of people. The Middle East is forecast to increasingly broil under virtually unlivable extreme temperatures. 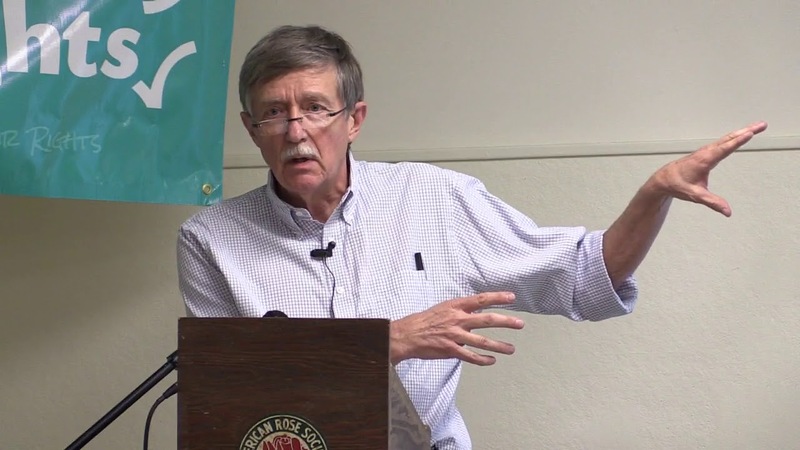 …It is time for radical new responses to looming climate disaster. But are enough people open to the big idea that could make solutions more likely? That is, the idea of a global government, a world democracy? …A world federation is the only way, advocates maintain, to end destructive competition between nations. …While many write off a global democratic legislature as a bizarre blue-sky fantasy, others are certain we’re doomed without it. Christmas tree farms don’t cause global warming – and that is the scientific basis for why Europeans have decided to meet their emissions targets by…burning wood. You read that right, they have decided to burn more wood to offset the increases in emissions that will be caused by closing nuclear plants. Because wood is renewable. …Renewable energy certainly sounds great, except that burning wood is still combustion and still has emissions. 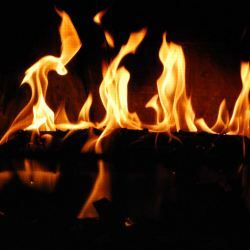 In the case of wood fires, the combustion is more harmful than CO2 emissions from coal, which makes them far worse than natural gas. Soot is an actual carcinogen, not made-up IARC statistical nonsense. But by using the term “renewable” their people will think it is superior to natural gas. Not in the world of physics it isn’t. …It’s junk science but political salvation. They have found a way to adopt a halo of renewable energy while sticking the developing world with the environmental impact. There are a lot of similarities between the timber and coal industries. …They both have contributed a lot to past economic growth, but now mostly do more harm than good. They both generate wide-ranging environmental damage, receive massive subsidies and emit large amounts of carbon dioxide. To avoid climate catastrophes, we must quickly rein them in. Trees and coal are essentially the same thing: carbon, which comes from photosynthesis that has removed carbon dioxide from the air. …Coal’s role as the largest source of these emissions has long been recognized. In contrast, the timber industry’s emissions have been overlooked. Last year, for example, the Oregon Global Warming Commission (OGWC) wouldn’t say what effect industrial timber production has on emissions. This year, all that changed. Prominent researchers at OSU showed that industrial timber production emits about 33 million tons of carbon dioxide into the atmosphere each year. 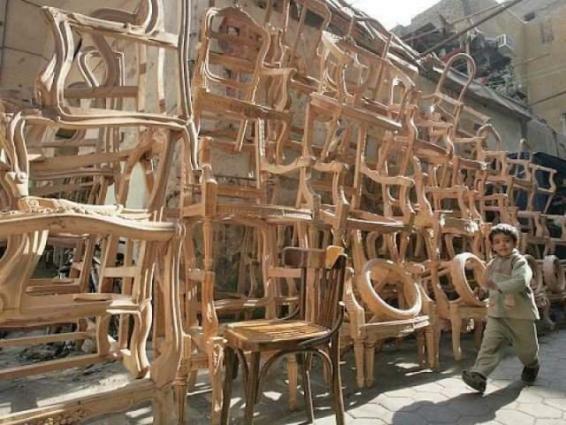 ISLAMABAD:Pakistan Furniture Council would plant 1 million saplings in the next five years to help mitigate the adverse effects of climate change, regulate water cycles and increase the green cover across the country besides this drive would give impetus to wood-based furniture industry. The Chief Executive of PFC Mian Kashif Ashfaq, while talking to a delegation of furniture manufacturers welcomed the Prime Minister nationwide tree-plantation drive to plant 10 billion saplings in the country and said that completion of the project, around Rs 240 billion would be added to national economy and the government would earn Rs 20 billion, said a press release. The situation for Pakistan is already critical. We are seeing impacts of climate change from the north to south. Communities are migrating due to extreme weather and their livelihoods are threatened, leading to various socio-economic problems, he added. The Icelandic government’s plans to curb climate change and build a greener Iceland through extensive afforestation. Revegetation is set to play a major role in limiting Iceland’s carbon footprint, with the potential to significantly reduce it over the next few decades. …In a press release from the Government Offices of Iceland (Stjórnarráð Íslands), government leaders said that they aim to lessen greenhouse gas emissions and to support the development of carbon binding techniques to ensure that Iceland will reach its stated environmental goals. One way to do so is to reforest Iceland. The Icelandic Forest Service expressed optimism over the new plans to expand Iceland’s forests and cultivable land, saying … they “welcome this new plan with open arms, since [they’ve] said for years that afforestation should be undertaken again.” …The types of trees that will likely be cultivated are evergreens—larch, pines, and spruce—as well as birch.